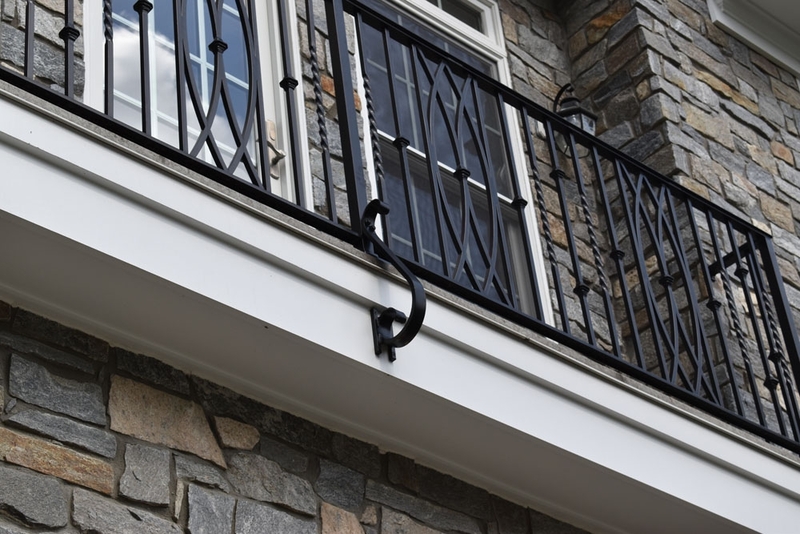 The clients wanted beautiful masonry flooring on these balconies, which meant anchoring through the floor was not an option for the solid aluminum railings. So we came up with a creative flair, using custom forged aluminum scrolls for side mounting below the balcony floor. 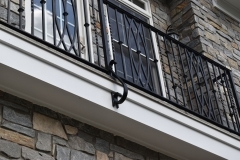 This gave theses extraordinary, solid aluminum balcony railings even more ambiance, and provided the clients with very rigid and secure balcony railings. 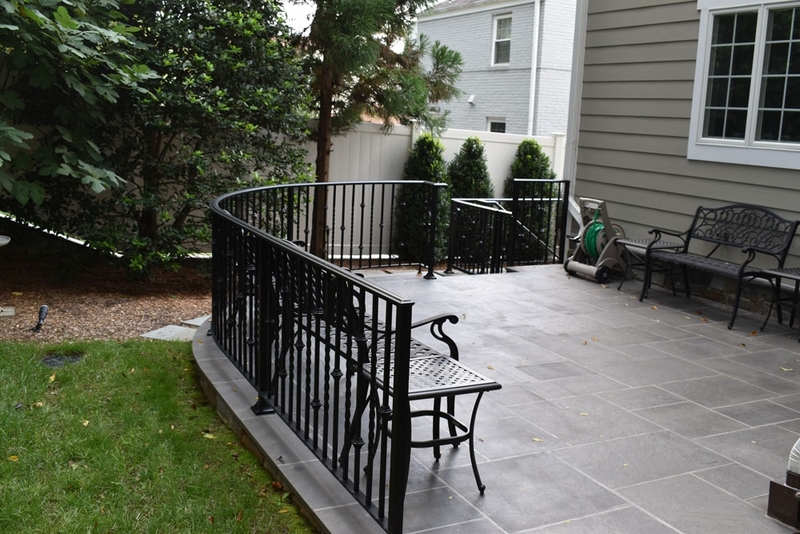 And the matching aluminum terrace railings created another opportunity for the clients to enjoy more of their style of signature railing. 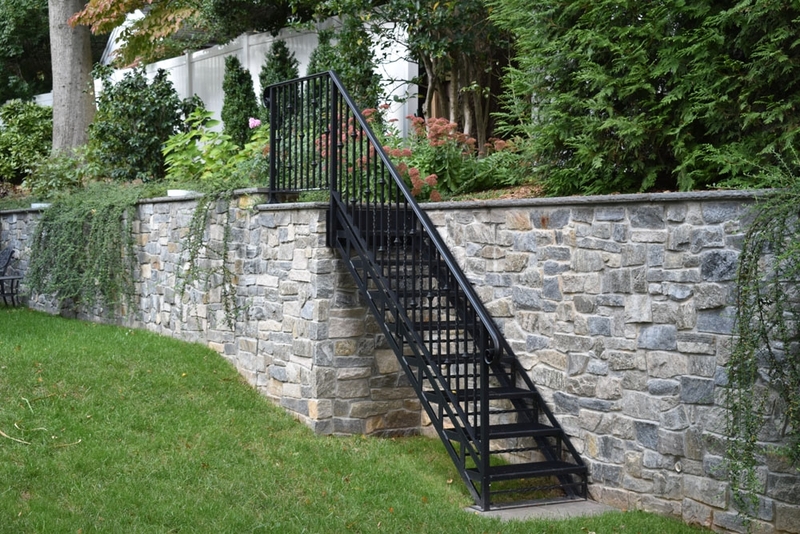 Custom Stairs provided access to their upper garden area. The regulations were that they could not add any additional impervious area. 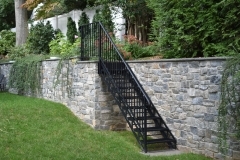 So custom treads were created from grating and the entire aluminum stairs were welded as one single solid unit. 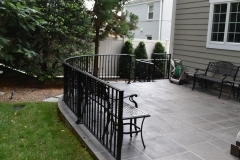 All around, the clients have their unique challenges and all challenges were met with the mindset of opportunity to create something special, around their style of custom aluminum railings.